Everyone knows about how accumulating credit card points can reap significant awards. Now select young Jews returning home from Birthright trips to Israel can accumulate a different kind of points toward a unique kind of reward. 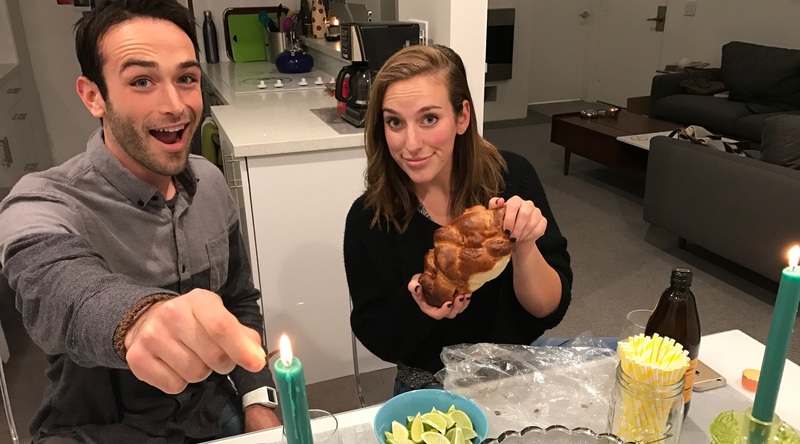 Sam Diament, 28, a New Jersey technology consultant, earned points for taking on Jewish ritual observances, like putting on tefillin every day and making Havdalah at the end of the Sabbath. Alexa Summers, 20, a junior and computer science major at the University of Missouri-Kansas City, earned points for signing up for a Top Israel Internship next summer, hosting Shabbat dinners and volunteering as a computer support technician for Jewish Family Service of Greater Kansas City. Both Summers and Diament were on Birthright buses selected to participate in Bring Israel Home’s 100-Day Challenge. The program seeks to keep alumni of the free 10-day trips to Israel connected to Judaism, Israel and each other by rewarding them for staying involved in Jewish activities. Bring Israel Home awards points for a range of Jewish activities: lighting Shabbat candles, advocating for Israel, studying Hebrew texts, volunteering for Jewish organizations, attending a Jewish event or even reading an Israel-themed article. Participants who reach 100 points are invited to join their tour guides and Israeli counterparts at an all-expenses-paid reunion weekend. “Gamification has seeped into every aspect of our lives,” said Rabbi David Pardo, 32, executive director of Bring Israel Home. 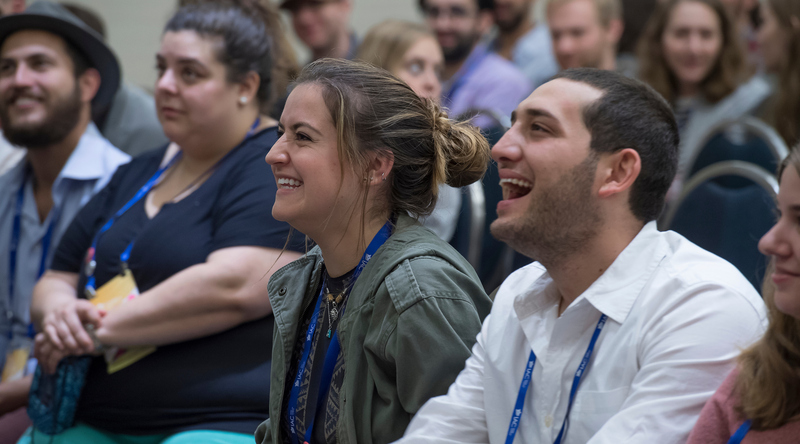 Since 1999, when Birthright began taking Jewish college students to Israel for free with the aim of connecting them to their Jewish identities, Israel and each other, organizers have faced a daunting challenge: how to keep the momentum going once participants return to North America. Some 650,000 young people have gone on Birthright trips to date, but follow-up has been a challenge. A 2009 study by researchers at Brandeis University found that only 4 percent of Birthright alumni participated in five or more Jewish activities of any kind in the two to three years after their return. Some of the original philanthropists involved in Birthright tried to mount an effective follow-up program with Birthright Next, a program that sought to steer program alumni into a suite of American-based programs. The effort floundered, however, ultimately winding down in 2015 amid criticism that it was ineffective and duplicated existing efforts. Bring Israel Home was launched in 2012 by an odd-couple pairing of Birthright service providers: the Orthodox outreach group Aish Hatorah and the Union for Reform Judaism. It since has been brought under the auspices of the Orthodox Union, the mainstream Orthodox group. “What we do is, we get on the buses on the last day of the trip and say, ‘What would you do for a reunion with the Israelis you met on this trip six months from now?” said Pardo, who has worked for some years in informal education, including at Brandeis as part of the Orthodox Union’s Jewish Learning Initiative on Campus. Bring Israel Home, he noted, is user-driven. In 2018, about 2,000 individuals joined the Bring Israel Home challenge, according to Pardo. Since the program’s inception, 6,204 individuals have participated and completed 107,855 Jewish activities, including 25,134 last summer alone, according to the Bring Israel Home website. The website aims to harnesses young people’s winning instincts with an interface that’s a mashup between social media platforms and reality TV-style competitions. For Summers, a native of Overland Park, Kansas, who says she “didn’t grow up that Jewish” and didn’t attend synagogue as a child, that has meant a whirl of Sabbath dinners, a Hanukkah feast and time volunteering for the local Jewish Family Services housed at her JCC. The activities have “brought myself and my friends closer together,” said Summers, who is studying to become a software engineer. “I had wanted to become more involved, but I wasn’t sure how. Diament and Summers were among the Birthright alumni who qualified for the all-expenses-paid reunion weekend in November at a resort hotel in Connecticut. At the reunion, Summers woke up early each morning to practice her Hebrew during breakfast with the Israelis who came. Now she’s looking forward to finding a tech-related internship next summer in Israel. For Diament, who attends a Conservative synagogue every Sabbath with his family and has visited relatives in Israel, the 100-day challenge provided the impetus to deepen his religious observance. Before participating, he’d never really put on tefillin, but ever since he has worn them every day, he says. Diament now also regularly says blessings over food and ritually washes his hands before eating bread. The Connecticut reunion wasn’t just about Birthright, but also included workshops and lectures. Avi Arieli, a former top official with Israel’s domestic intelligence service for three decades and an envoy to the CIA and FBI, led one session. He said he was blown away by the reunion. Diament says he was most impressed by how far participants traveled for the Birthright reunion. This article was sponsored by and produced in partnership with the Orthodox Union, the nation’s largest Orthodox Jewish umbrella organization, dedicated to engaging and strengthening the Jewish community, and to serving as the voice of Orthodox Judaism in North America. This article was produced by JTA's native content team.